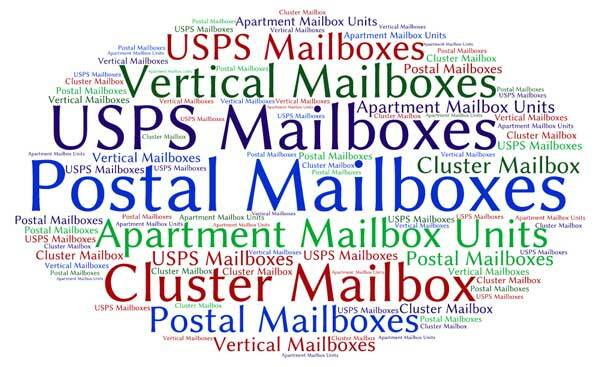 For housing developments, apartments, small and large neighborhoods, and anywhere that USPS mail is delivered to a central location for several residents, security is the most important consideration. No one wants to install mailboxes that are unattractive, but that pales in comparison to keeping mail safe and secure for everyone. Centrally located mail boxes are subjected to a lot of abuse. Sure, it's illegal to interfere with the mail. But that doesn't mean mailboxes aren't tampered with. And then there are the elements to think about. Rain, sleet and snow don't keep the postal carrier away, and mailbox clusters stand outside through the worst that Mother Nature can dish out. When selecting the right mail boxes for your community or building, you'll want the safe, USPS-compliant, and durable features that XPB Lockers provides with every style. Rear-loading mailboxes work in an enclosed area such as a post office or mailing center. But for outdoor locations, mailboxes that only open from the front might be a better solution. They also broaden your options for installation, because the carrier doesn't need space behind the box to work. Pedestal installation means the mail box doesn't need a dedicated wall for mounting. 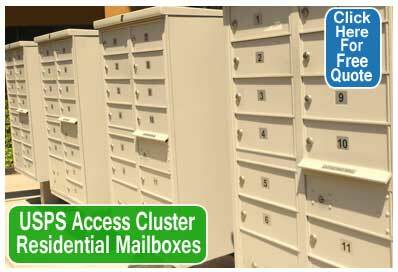 Cluster mailboxes, such as our 8-,12-,13-, and 16-Door Cluster Mail Box Unit, give you different features. They have groupings of small letter boxes, each with its own unique key for safety. And they also have parcel boxes worked into the design, which the postal carrier can use as-needed for residents who occasionally receive larger volumes of mail or packages. If you prefer to keep letter delivery and parcels separate, there's the option for individual parcel drop boxes. Our 2 Door Outdoor Parcel Storage Locker is freestanding, and has front access like the cluster boxes. They're also available in the same colors, which are green, bronze, sandstone, black, white, and gray. Parcel drop boxes can be USPS access only, which is standard. But for an additional fee, they can allow for private access. Custom engraved placards are another option you can choose. For some apartments and condos, mailboxes may be installed in an interior hallway, vestibule, or at the entryway by the front door. A pedestal stand might not work for those areas, but a wall-mount style could. Our Vertical Front Loading Mailboxes are available in the same colors as the pedestal styles, and they come with 3, 4, 5, 6, or 7 doors. If you prefer a flush look, they are also available in a recessed wall mount, which leaves only the face plate visible. And as with the pedestal boxes, there's a matching Wall Mounted Parcel Locker. Above everything else, mailboxes should protect the mail from people with bad intentions and from inclement weather. Pedestal-mount styles bolt down, and are constructed of tough, durable, corrosion-resistant materials with tamper-proof locks. Wall-mount styles can recess into the wall, making them more secure against break-ins. XPB Lockers can help you find just the right style and size mail boxes for your community, whether it's a rural neighborhood or a high-rise apartment building. 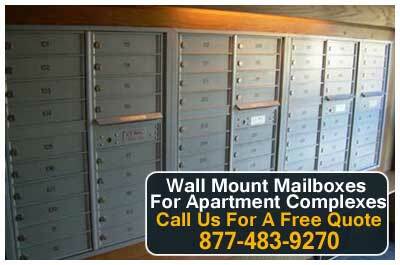 Call 1-877-483-9270 today for a quote, and to learn about the mailbox customization options available to you.